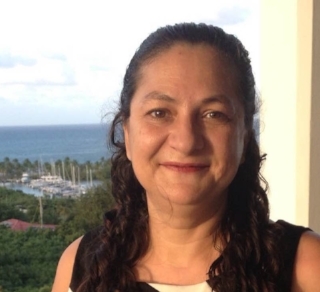 Maria manages capital project planning, company budgets, and regulatory compliance. She has a degree in Business Administration and Computer Science as well as over 20 years of experience in Federal Government contracting, proposal and grant writing, budgeting, and compliance. Maria has managed contracts in excess of $1.5 billion in partnership with Bearing Point and KPMG and raised over $100 million in contract and grant funds. Matt manages all offshore ranch operations including marine crop inventory, harvesting and logistics. His deck crews install anchors and maintain ropes, floats and buoys at the ranch. Matt is also responsible for the management and maintenance of the Company’s five research, work, and support vessels. Matt is a USCG licensed 100-ton Captain and certified Scuba diver. Debbie is co-founder of KZO Sea Farms and was previously the Program Manager for the KZO Education, ED-LINKS Program, a subcontractor for the $90 million five-year program "LINKS TO LEARNING: Education Support to Pakistan (ED-LINKS)" funded by USAID. Debbie was also Program Manager for the “Alamitos Bay Oyster Restoration Program” in Long Beach, CA where she managed the community outreach and educational activities for volunteers. In January 2015 Roger was elected to the Board of Directors at Santa Monica Seafood and as Chief Executive Officer after having functioned as the defacto CEO for most of the prior 10 years. Santa Monica Seafood, a family-owned and operated company for the past 75 years, is the largest specialty wholesale distributor of fresh and frozen seafood in the southwestern U.S. Roger has over 15 years of experience serving the food and beverage industry. He has completed multiple M&A deals and real estate acquisitions for individuals and companies in the seafood, retail, manufacturing, and distribution sectors. Roger served as CFO or CEO for various privately owned manufacturing, real estate, and service-related companies. Roger owned and operated 3-Day Blinds, the largest manufacturer and retailer of hard window coverings in the U.S., and previously was a CPA with Arthur Andersen & Co. Roger was a finalist in the Orange County entrepreneur of the Year program in 1996 and 1997 and is a graduate of UCLA. A converted, 72 foot long LCM-8 from the World War II era, the deck space and easy access to the water on the starboard side make the Enterprise a versatile aquaculture harvest vessel. Powered by new, clean and efficient twin John Deere diesels and outfitted with specialized mussel processing and longline management equipment, this vessel serves as the workhorse of the fleet. 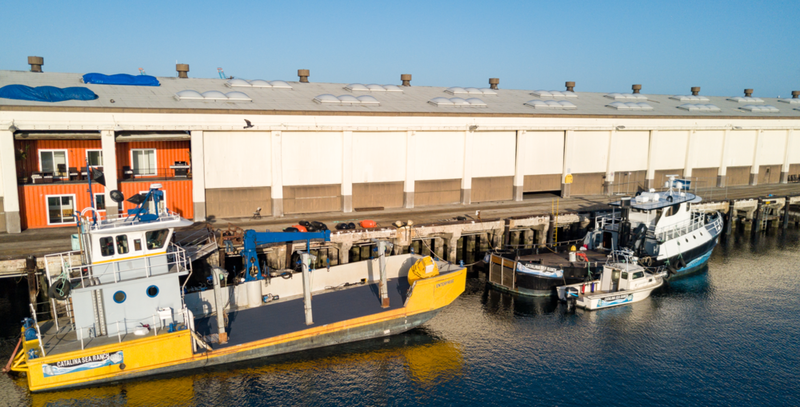 Catalina Sea Ranch leases space from the Port of Los Angeles as its base of operations and for mooring its vessels at Berth 58, which is large warehouse of 60,000 square feet destined to become AltaSea. It has constructed a research hatchery and converted seven shipping containers used for its research laboratories and offices. Berth 58 has sufficient space for future expansion for aquaculture and R&D operations including a commercial hatchery and training center. AltaSea is a $500 million project for bringing science, business and education together to generate innovative solutions to the global challenges of sustainability. 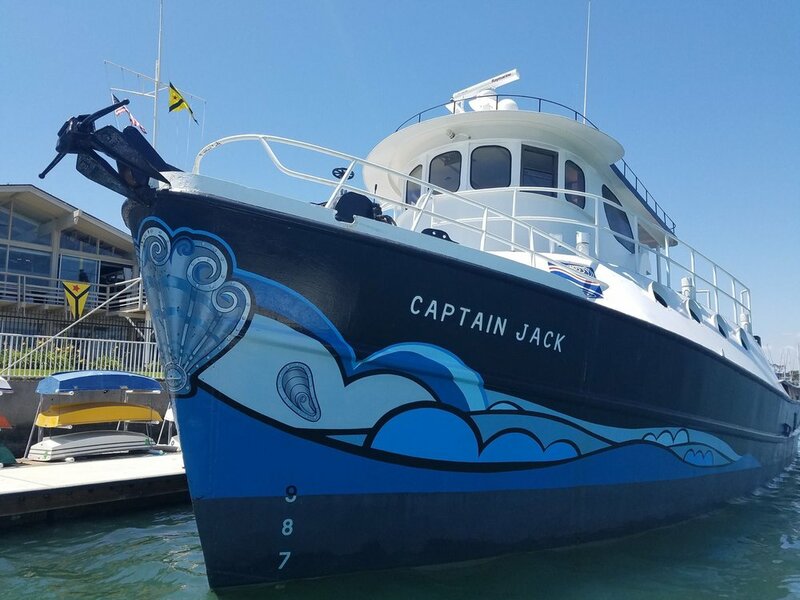 A restored and converted 111-ton, 75 foot long with 22 foot beam, the Captain Jack serves as a dedicated research vessel supporting the Offshore Monitoring Program. Equipped with a 5-ton crane and wet laboratory, it transports scientists, oceanographers and mobile monitoring vehicles to the ranch for conducting research and advancing offshore aquacuture. The NOMAD serves as the SW corner buoy at the ranch. This 17,000 pound platform is equipped with technologies for transmitting real-time data for remotely monitoring environmental, security and aquaculture husbandry functions. It employs a combination of wind and solar power to maintain a monitoring presence at the ranch which can be viewed at: nomad.catalinasearanch.com. The is the first federally permitted and operational aquaculture facility located 6 miles offshore in U.S. Federal waters. 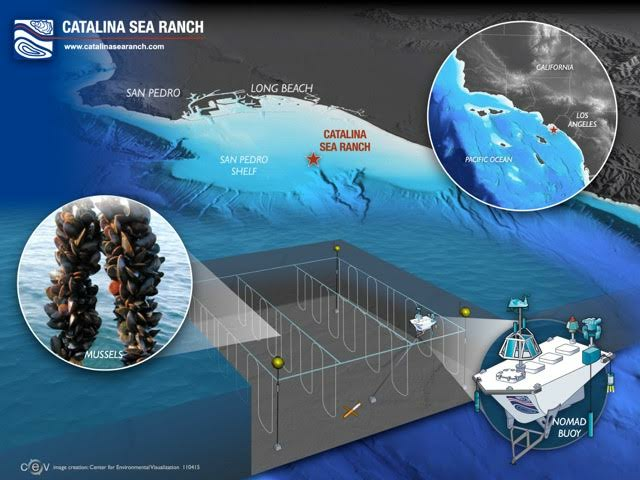 Catalina Sea Ranch is planning to expand the initial 100 acres to over 1,000 acres by documenting no negative environmental or social impact. Launching operations with low-risk, highly profitable mussels, the strategic plan is to expand with the cultivation of additional sustainable mollusk and seaweed crops. Mollusk shellfish (mussels, scallops, oysters, etc.) are among the most lucrative and sustainable fisheries in the U.S. valued at $1 billion and the global seaweed market exceeds $10 billion.